Master Jie’s energy healing is powerful and unique. Various techniques could be applied, based on your personal condition and circumstance at each session of energy healing. Using his holistic healing ability, Master Jie has been helping a lot of people improve their physical and mental conditions. Many amazing results have been achieved, including some cases that could not be solved via traditional health care methods. With his strong energy and gifted healing abilities, Master Jie can help you remove the blocked energy among the meridians and chakras. He is also able to help release negative energy out of your body. This may result to stimulate the Chi flowing all over the body and increase the blood circulation. Further, applying his Chi energy healing, Master Jie may introduce positive energy into your body, which will help you adjust the Ying Yang energy of your body, balance the energy in your body and enhance your immune system. Not only improving your physical condition, Master Jie’s energy healing brings you deep spiritual healing meditation, which leads you to align wiht your inner mind, body and spirit, boost your energy and develop your under-performed potential. 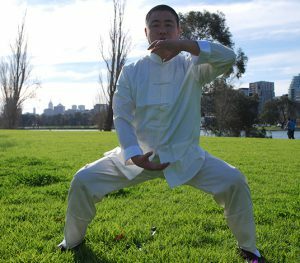 Master Jie’s mind-based techniques provide an excellent alternative and natural treatment for depression and anxiety in Melbourne, as well as a possible alternative energy healing treatment for Parkinson disease and other complicated health conditions.